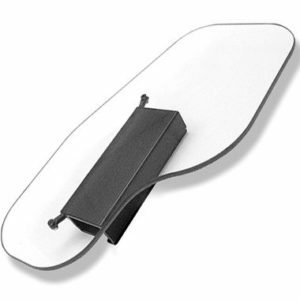 Use Hook and Loop Tray Straps by itself or with any other tray attaching system. 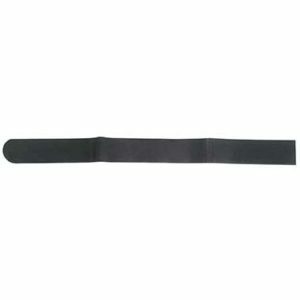 Hook and Loop Straps are sold in pairs, and are 2″ wide by 24″ long with extra-long adhesive. Therafin’s Premium Padded Tray is upholstered with black satin vinyl over 1″ thick foam, on a 1/2″ thick wood base. It’s easy to wipe clean. Adult Wide tray is 25.5″W x 22″D, with a 15″ x 9″ body cutout. Manufactured by Therafin. 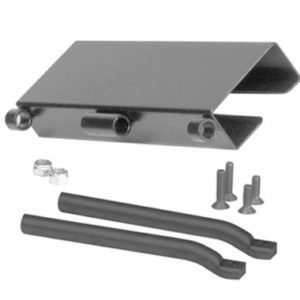 Use your own attaching hardware, or purchase tray attaching hardware separately. The underside of the tray has pre-drilled holes for E-Z Lock Clamps, or you can use Hook and Loop Straps. 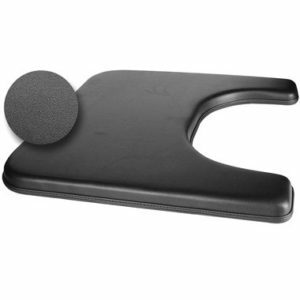 Use a Back Strap by itself or with any other tray attaching system. 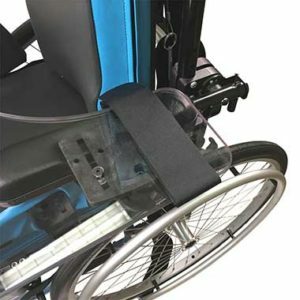 Back Strap is a 1″ wide black nylon strap with black plastic buckle, adjusts up to 40″ maximum, attaching hardware is included (may also be attached to your existing tray hardware). Made from 3/8″ thick clear polycarbonate with a black PVC rim. 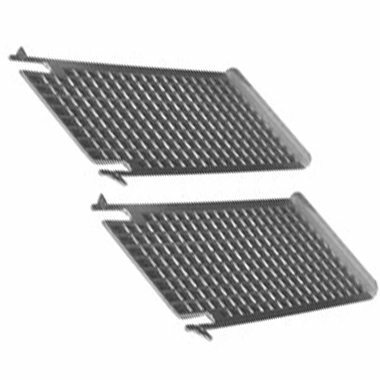 This heavy duty tray is 21.0″W x 18″D. Manufactured by Therafin. Clear Tray with Top Drop Clamps Attached. 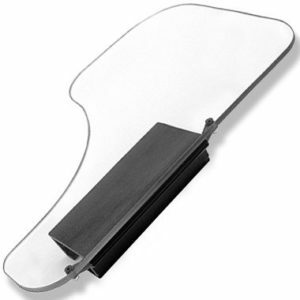 Made from 3/8″ thick clear polycarbonate, the Wraparound Half Tray has a large body cutout for robust users. The bracket slides the tray on from the front, and flips the tray up and out to the side for easy transfer. 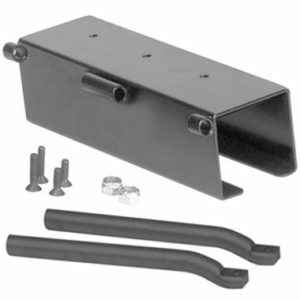 Bracket is armpad height adjustable to fit maximum dimensions of 2-1/2″ wide by 1-1/2″ tall. Manufactured by Therafin. 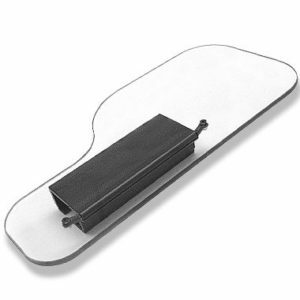 Therafin’s Premium Padded Tray is upholstered with black satin vinyl over 1″ thick foam, on a 1/2″ thick wood base. It’s easy to wipe clean. Adult Plus tray is 27.5″W x 23.5″D, with a 17″ x 10″ body cutout. Manufactured by Therafin. 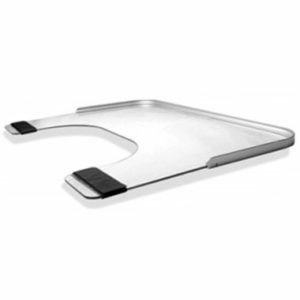 Medium durability bariatric wheelchair tray is 1/4″ thick clear polycarbonate with an aluminum rim and hook and loop straps. 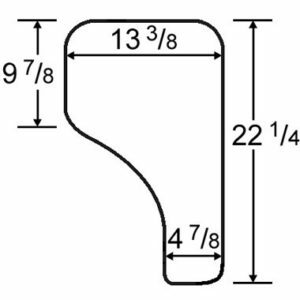 31.5″W x 23.5″D, 19″ x 10″ body cutout. Manufactured by Therafin.